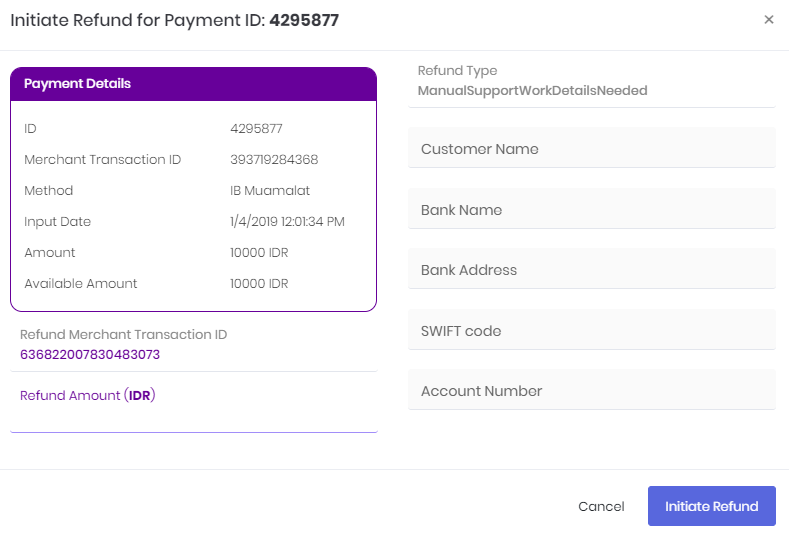 Full or partial Manual Support Work Details Needed refunds are made by using Initiate Refund button from Payments tab. 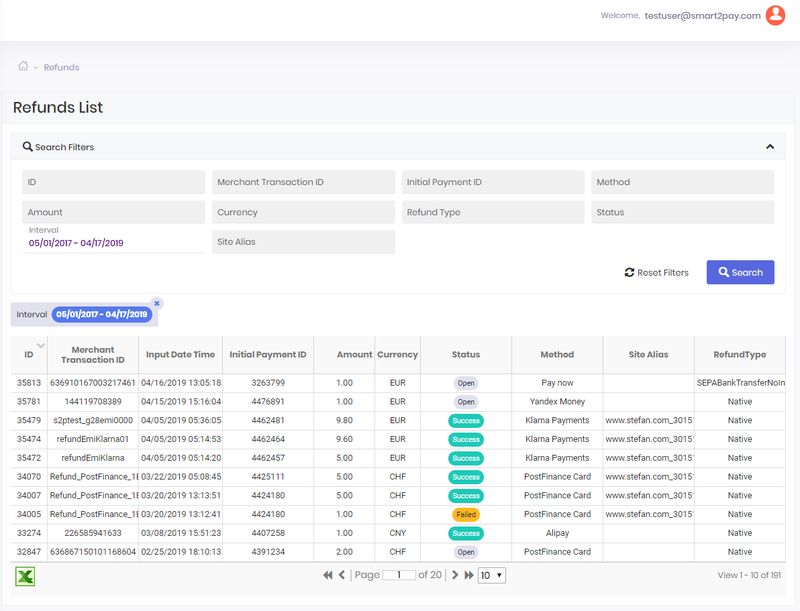 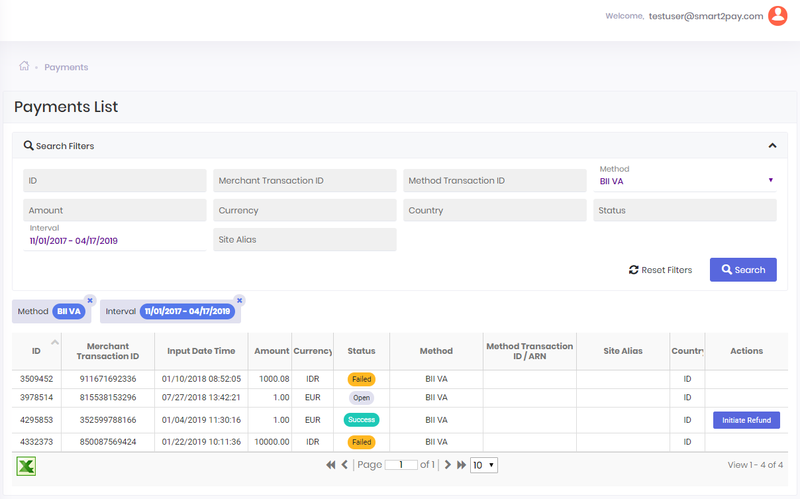 The Initiate Refund button is displayed only for transactions with Success status. 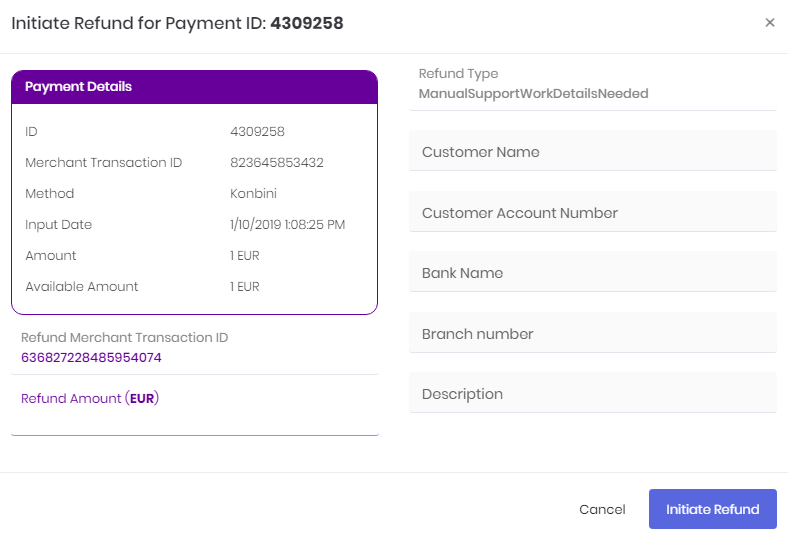 For more information about the refund types that require additional parameters, please see our section Refund types from Refunds API.